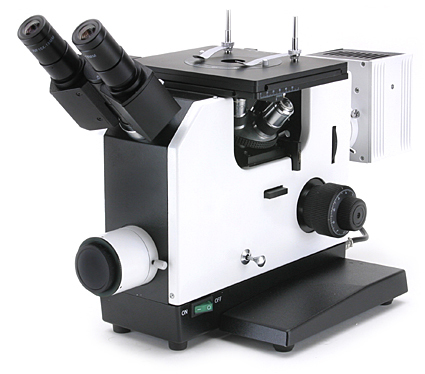 Qualitest offers an attractive range of top quality portable as well as table-top inverted Metallurgical Microscopes to complement metallography labs. Our portable range offered in both optical as well as digital configurations provide ultimate flexibility for in-situ analysis of your large samples in the field. The options of advanced image analysis software and camera systems, all offered at reasonable prices, provides optimum value, quality and choice for our customers. 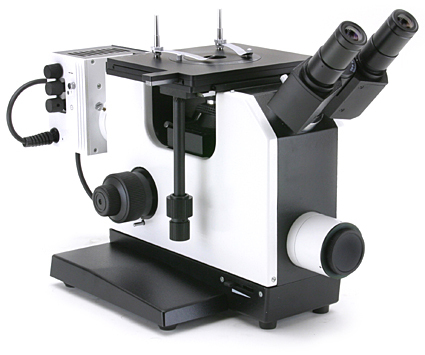 Modern design inverted metallographic bench microscope for measuring and viewing surfaces and studying materials, equipped with a polarised light set for crystallographic analysis.